'3 Hills' Summer Camp - Victoria HQ - Gozo - 12th-14th September 2008 - A camp full of fun activties all over Gozo...from swimming at Ramla bay..to visiting a farm where we cleaned, milked goats, saw other animals etc. A camp which will not be forgotten! 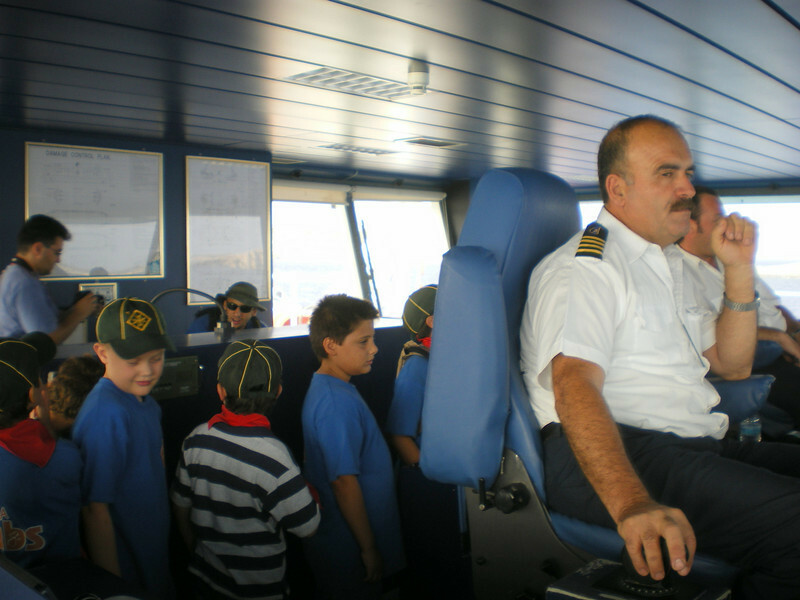 cubs exploring the cabin whilst the captain controls the ferry..